Last week some players were mad that Glen Oaks' 18th favored Dustin Johnson's ability to hit a super-human length drive under pressure and be rewarded. This week at TPC Boston, the newly updated 12th is causing consternation because it's forcing players to consider possible routes interrupted by bunkering, some a play down the 13th hole possible according to AP's Doug Ferguson who predicts many players will go all Lon Hinkle on us. Brian Wacker at GolfDigest.com has some of the player reaction, including Paul Casey calling the hole awful. That's an eye-opener given his general astuteness, appreciation of centerline hazards and understanding that you can't judge a hole by one practice round. However, architect Gil Hanse, who oversaw the changes along with Jim Wagner, is preaching patience and is not shy in suggesting that hazards were placed to prevent the bombs away approach found to be so upsetting last week. Rex Hoggard at GolfChannel.com allows Hanse to explain the thinking behind the hole and need to consider it after more than just one impression. “The expectation was it would take several rounds for these guys to learn how to play it and how they wanted to tackle it,” he said. “Unfortunately, some of the early reaction came after one practice round. Golf.com's Dylan Dethier looks at Gil Hanse's rise (thanks for the link PG), which started in large part at the TPC Boston. Host of this week's Dell Technologies playoff event again, the course has been a long-term redesign effort with the PGA Tour and superintendent Tom Brodeur's team. The transformation of the course into a New England-vibe course, rock walls and quirk included, has helped give this event much character. 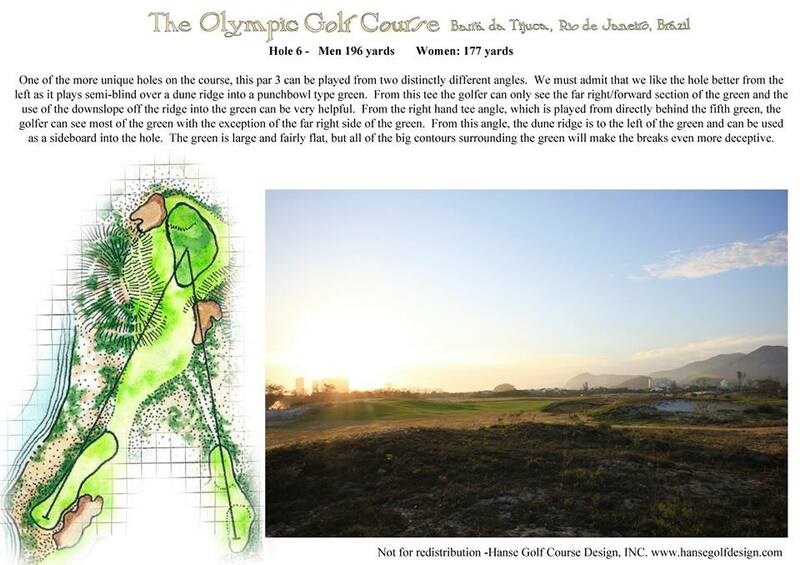 Hanse offered this on the future of design, inspired in part by the example he hopes to have set at TPC Boston. "The future of golf is fun," he said, noting the accessibility of the short course he just completed at Pinehurst as an example. "Golf is such a difficult game that whatever we can do to make someone's first interaction with the game fun and positive is going to be a win. Of any sport, golf has the best field and the best landscapes, and those selling points will always resonate with people. The allure of being outside and spending time with people is huge and you can't match it anywhere else." Dethier talks to Hanse about the latest changes to the 12th and 13th holes. What used to be the only unbunkered hole on the course has been stretched by 49 yards and given centerline fairway bunkering in the form of Principal’s Nose 305 yards off the tee. There’s also a new green position farther back. Hanse and Wagner also created more of a tie-in to the next hole by opening up the tree line and extending an existing ridge line into the 12th fairway, creating more of a drop-shot feel to the second shot. The shared space is a classical New England element that gets away from the older, isolated hole corridors that prevailed here. The putting surface also has been been moved away from its rocky ledge over a wetlands hazard. It now sits closer to the next tee, making for a better connect-the-dots feel. The hole requires a commitment off the tee between two alternative paths, the low road (to the right) shorter but a bit riskier; the high road to the left safer but longer. **AP's Doug Ferguson is predicting many players will play down the 13th this week, and Brian Wacker reports for Golf World that some do not like the changes. Architect Hanse is preaching that players actually try it out under tournament conditions before issuing a verdict. Not that any of it bothers Hanse. He knows tour players can be a fickle bunch, and he’ll evaluate the feedback after the tournament. “The main thing is we want to let it play out over four rounds,” Hanse said. “If we design a hole that they have figured out after one practice round, it’s probably not a very interesting or good hole. While it pales compared to the suffering going on in Houston, the sight of Rio venues a year later is no doubt newsworthy and an important reminder about forcing the Olympics where they just don't fit. Knowing the joyful expressions of athleticism that took place there a year ago and seeing those places now is an eye-opener. 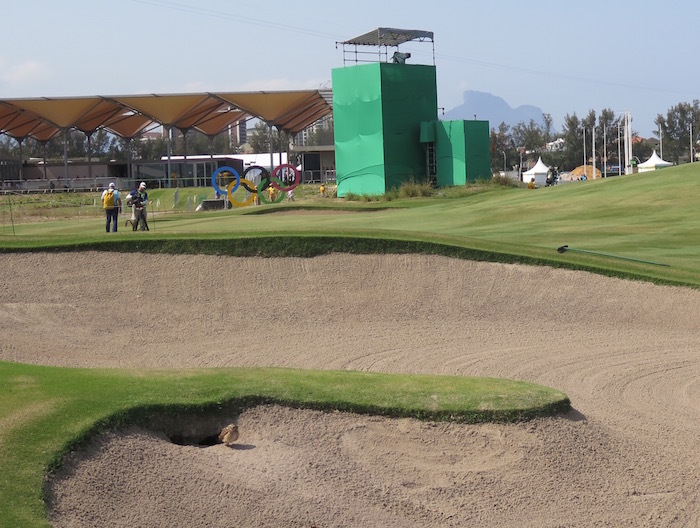 But as chronicled here many times, the continued inclusion of the Olympic Golf Course in slideshows certainly is a continued reminder that rustic, "degraded" golf (essentially dry links-style conditions) just doesn't quite make sense to non-golf media outlets. Two recent examples of golf's inclusion in the discussion of venues here and here, though there are many more. Meanwhile, the course's Instagram postings tells a much different story than various press outlets wish to tell. "I'm hearing good things from locals," Hanse said. "Back in March, one of the international news agencies put out something about the state of the Rio facilities—the terrible state the pools are in, the Olympic Park with a chain link fence around it. 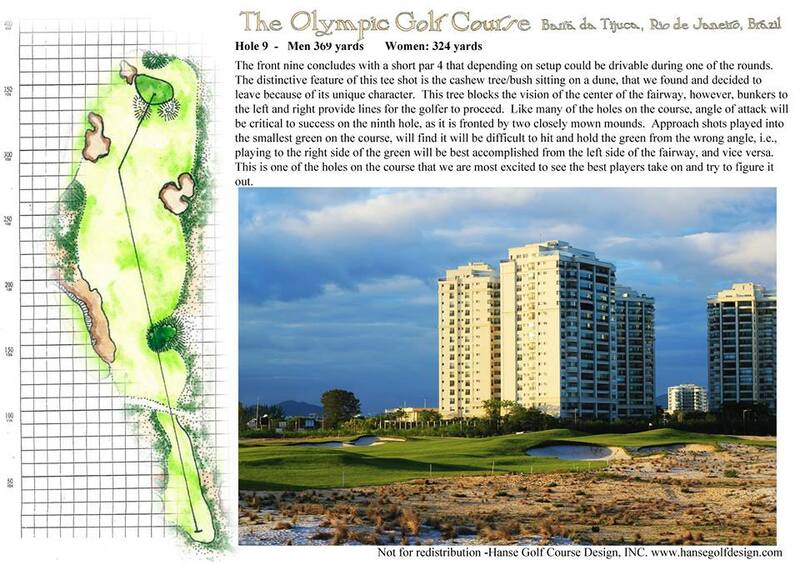 And they ran an aerial photo of the 'degraded' Olympic golf course. I looked at it and I'm like, 'You can see the mower stripes on the greens. You can see all the bunkers are raked. You can see the fairways are mowed. How is that degraded?' It was definitely a fake news story. Very frustrating." Gil Hanse explains the concept (embed below) of what hopefully joins the list of influential short courses inspiring more to be built. Given the location of this one in front of the Pinehurst clubhouse, it's sure to be popular when completed. Gil Hanse has been commissioned to remodel Pinehurst No. 4. 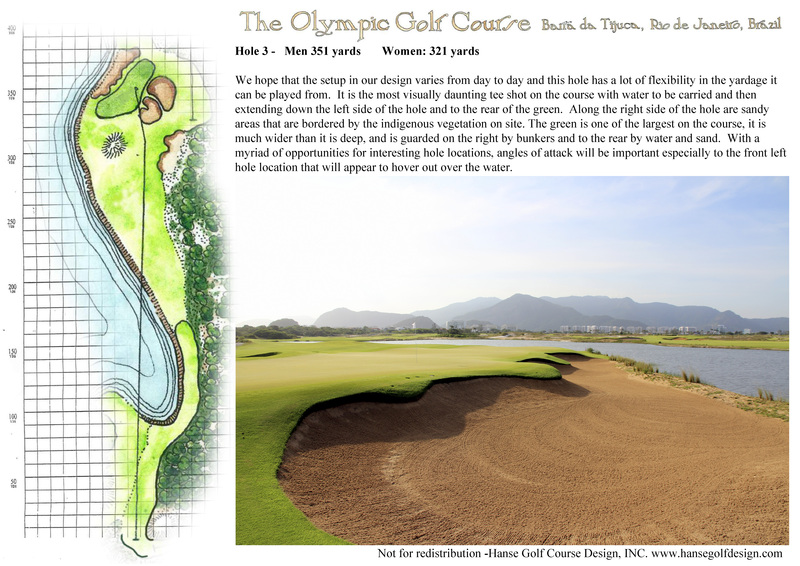 You're going to see them more than enough if you watch the Olympic golf coverage, but one of the great accomplishments of this course will be taking a property and making it better for wildlife through nature-based design and maintenance. That message hopefully is picked up by much of the world and may be one more important than who wins, or which developing nation gets more funding. Gil Hanse told me today he's already seen a few bird species he never saw during construction and even he's astonished by the wildlife activity at a place that was already so active. Steve DiMeglio wrote about the various critters for USA Today. 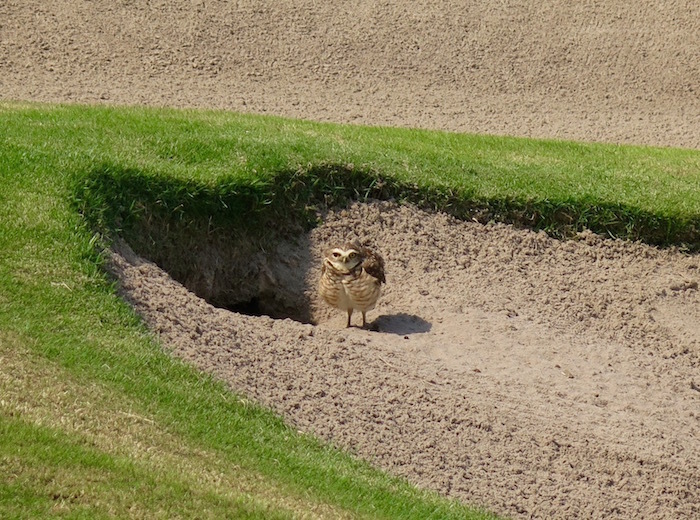 Here are the burrowing owls at the 9th, who have been allowed to do their thing. The Rules of Golf naturally allow for relief from this situation for the safety of all in involved. 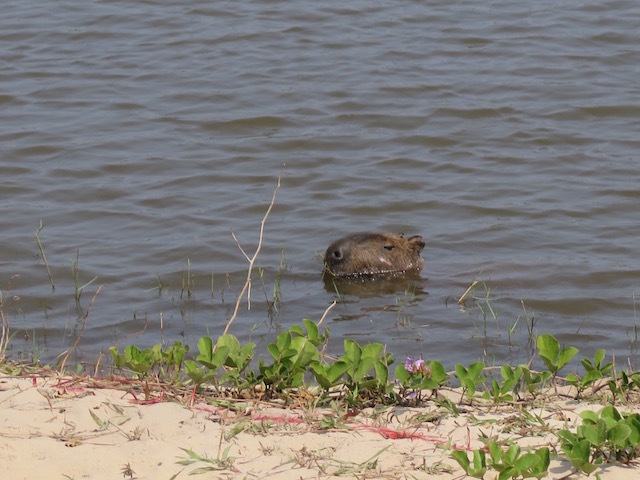 And the American contingent checking out the Capybara swimming around the 5th hole. 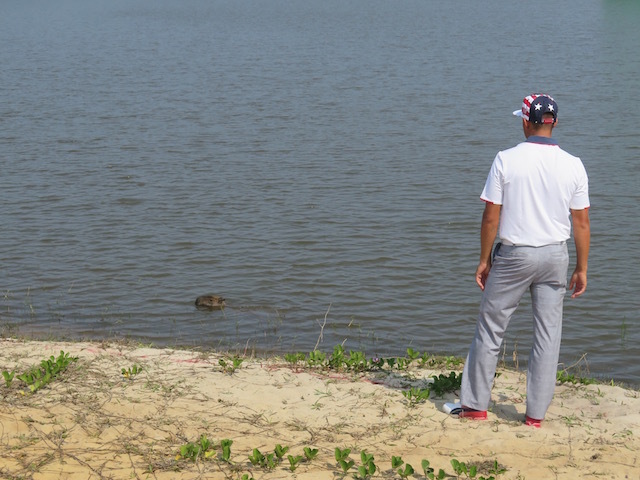 Here's Rickie Fowler checking out the giant rodent who was busy munching on some greens. 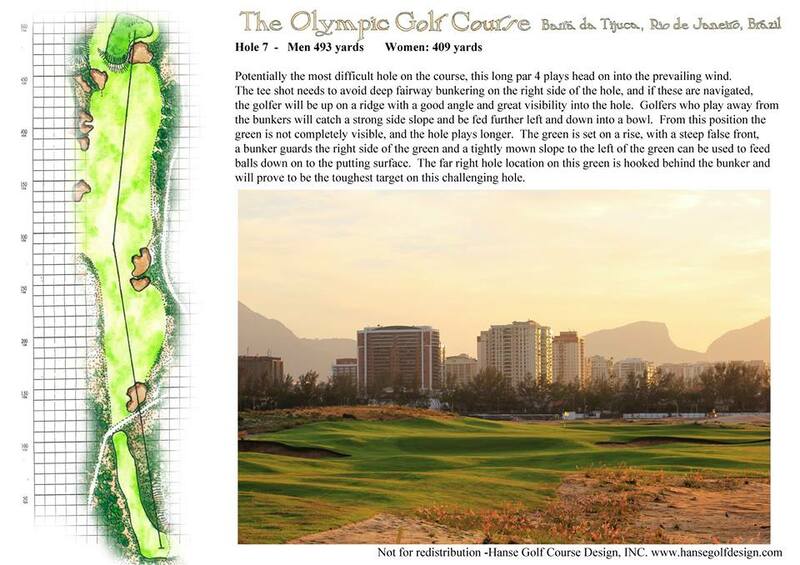 As I noted in this week's Golf World, uniformity will not be a word you'll hear this week at the Olympic Golf Course, one already little known to players and adding another local knowledge element: different sands. Gil Hanse explains in this exclusive to GeoffShackelford.com why the sand shades and textures are different throughout the course, something unique to the site incorporated both for sustainability, cost savings and rewarding those skillful enough to do their homework. Let the howling begin! We also discuss how the sandbelt style of bunkering came about. John Clarke of the New York Times wrote last month about the Zeon Zoysia making its international debut this week. It started from a small amount transported on an airplane by David Doguet, owner of Bladerunner Farms and is a promising turfgrass going forward for certain regions of the world looking for faster, firmer and tougher turf. Zeon Zoysia requires less water, fertilizer, nitrogen and pesticide than most other types of golf turf, Doguet said. Perhaps most important, he said, it can endure Rio’s poor soil and water quality and meets the strict environmental regulations that prohibit the use of chemical fertilizers and weed killers on the course, which is on a nature preserve. The story also includes a couple of slideshows worth checking out. Gil Hanse has posted a guest course review at GolfNow! They also provided this quick preview video of golf's (quick) Olympic history. Best of all is this 360 degree tour of the property and course, which will, for those viewing this week, give a great sense of where the holes sit. Gil Hanse narrates. And Quartz has put together these DigitalGlobe sequential aerial shots of multiple venues, including Olympic Park, beach volleyball and the golf course in all stages. Really fun stuff if you've been watching the Games. As I have with all the previous flyovers, I encourage a look at Golf Digest's drone shots sponsored by Adobe. They really are a pleasure to watch, as narrated by Hanse. 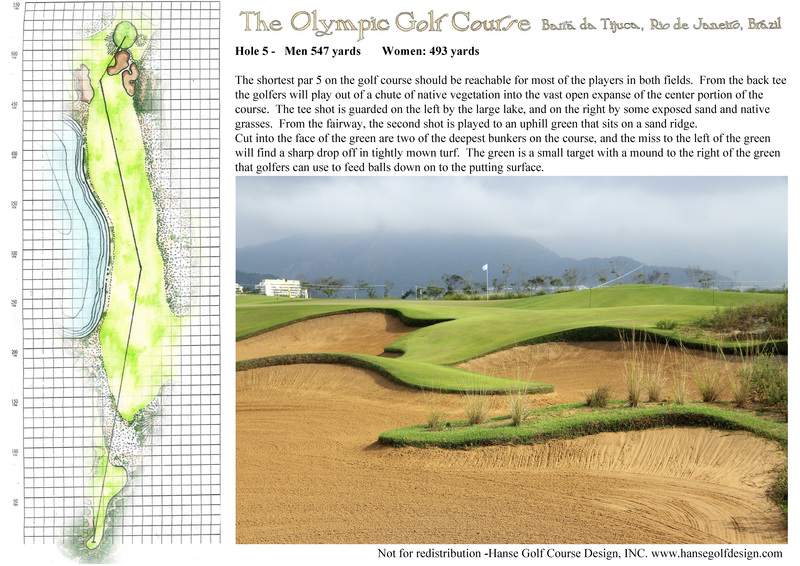 The 16th hole flyover and Hanse's final rendering. 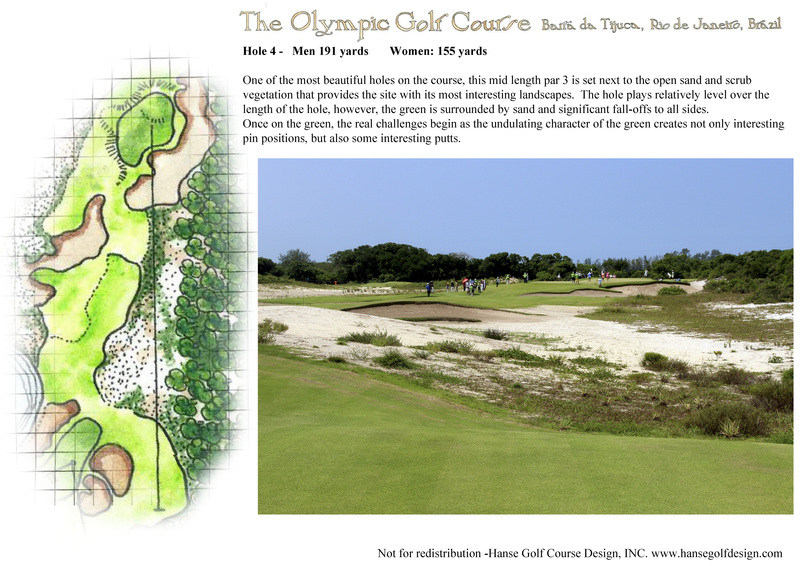 The 17th hole flyover and Hanse's final rendering. 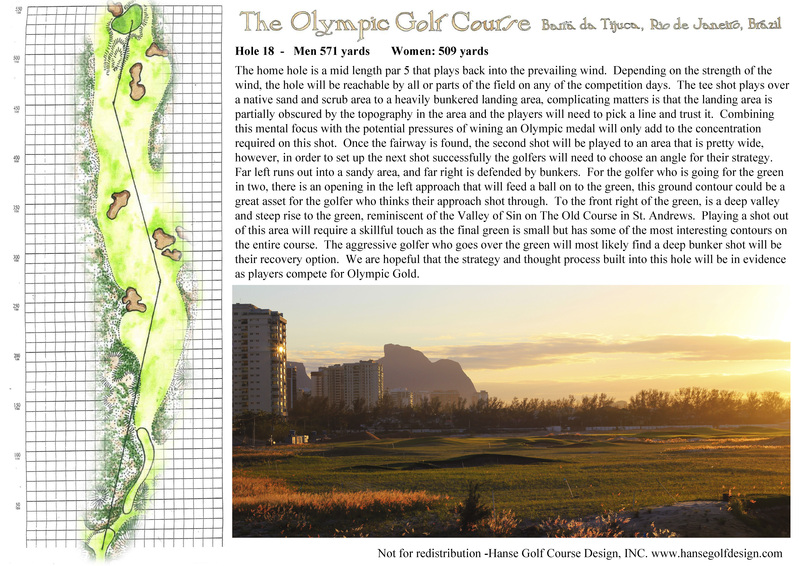 The 18th hole flyover and Hanse's final rendering. The closing three holes of the front nine return to the upper shelf of the property where the sandy influence is stronger. The long par-4 7th plays493/407 yards into the wind with a strong false front green. Gil Hanse narrates the flyover for Golf Digest. Here is his final rendering. The par-4 ninth hole brings a little blindness and weirdness to close out the front nine, playing 369 yards for the men and 324 yards for the women. The rendering. Gil Hanse, golf architect of The Olympic Golf Course in Rio and many other projects, joined host Harry Arnett and sidekick Amanda Balionis in Carlsbad for episode 12/season 2 of Callaway Live. 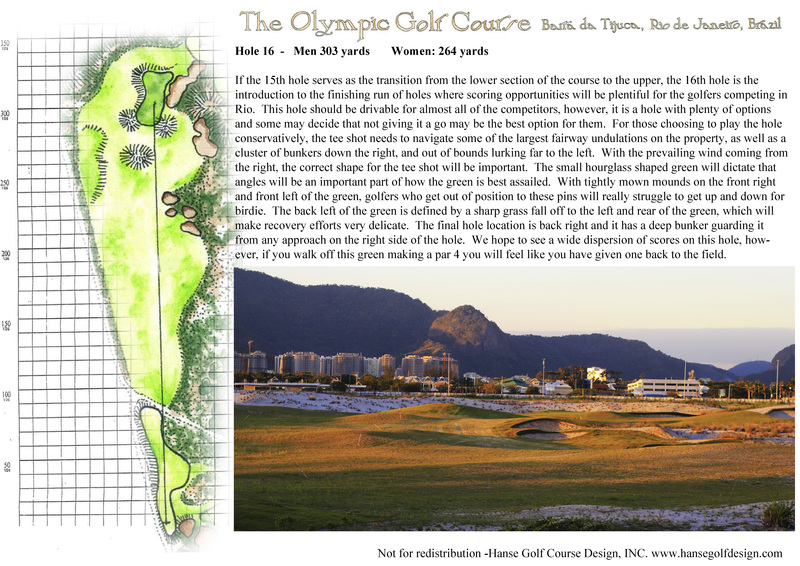 Catching up now post-PGA on the Rio Olympic course, with the fourth, fifth and sixth hole flyovers by Golf Digest and narrated by Gil Hanse. The par-3 4th hole 191 yards for the men and 155 yards for the women and looks like an ideal sandbelt one-shotter, only windier. Gil's final rendering of the hole. The par-5 fifth hole is 547 yards for the men and 493 for the women and plays gently uphill. It's hard to see, but this is a wonderful greensite that should be a great spectating portion of the course. Gil's rendering of the fifth. The par-3 sixth plays 196 yards for the men and 177 yards for the women. This hole features two tees, including a blind option over the dune. Strap in, this should be fun! 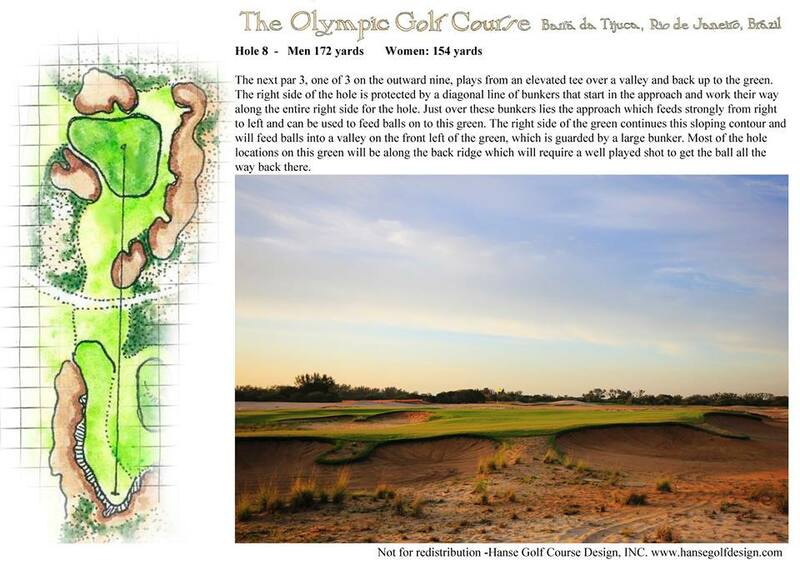 Gil's final rendering of the 6th includes both tee options. The par-4 third can be stretched to 351/321 but will hopefully be set up shorter to entice players to drive the green. Here is the Golf Digest flyover narrated by co-architect Gil Hanse. 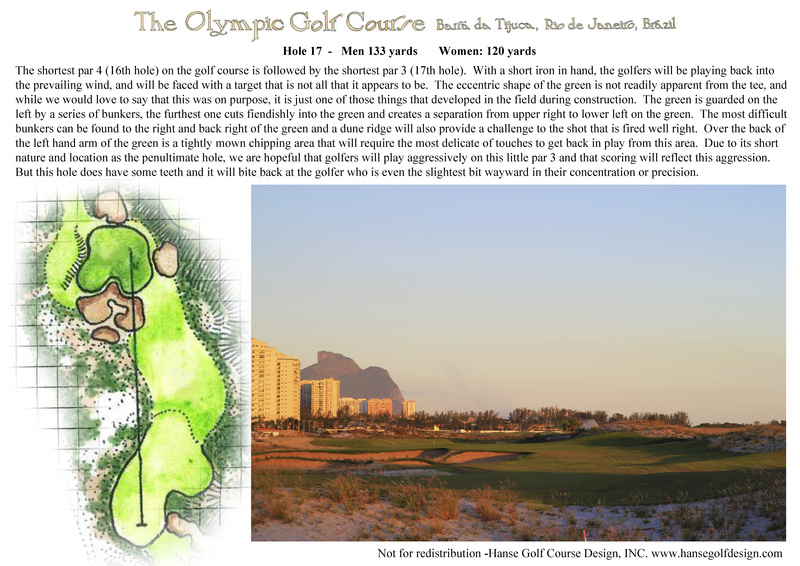 Here is Hanse's final rendering of the hole. Gil Hanse and Holly Sonders explain what happened.